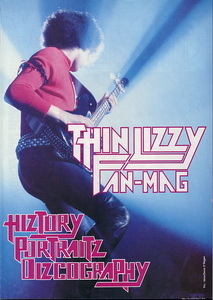 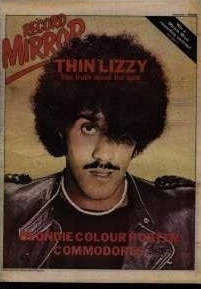 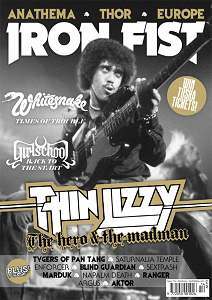 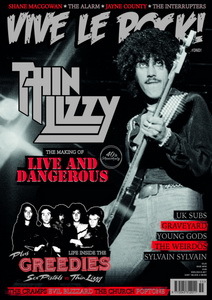 (Australia) The new face of hard rock Thin Lizzy. 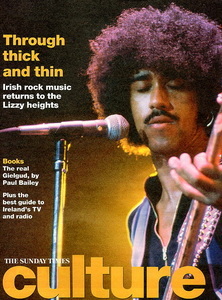 (UK) The luck of the irish. 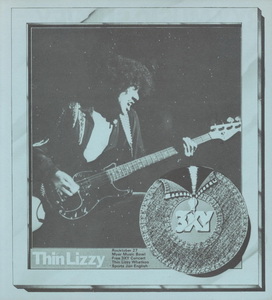 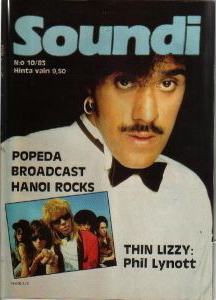 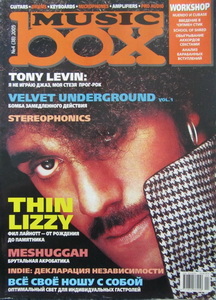 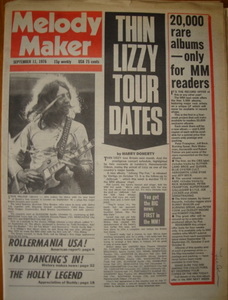 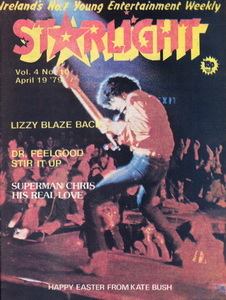 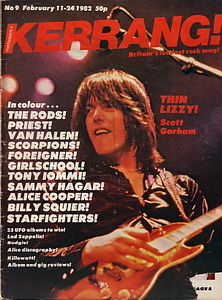 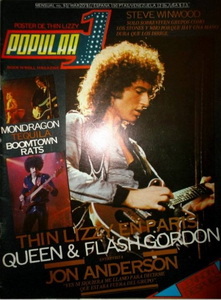 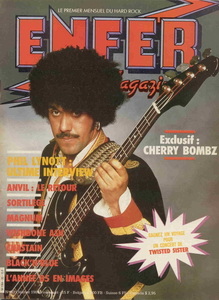 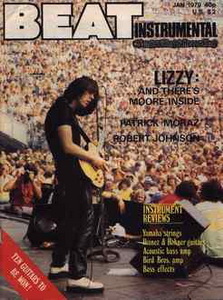 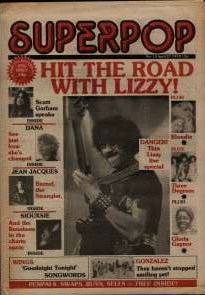 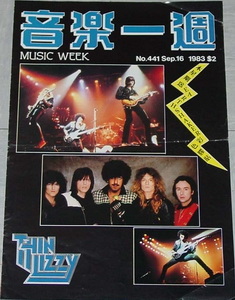 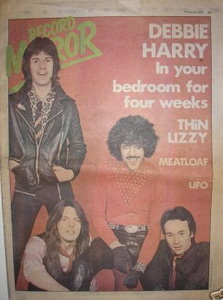 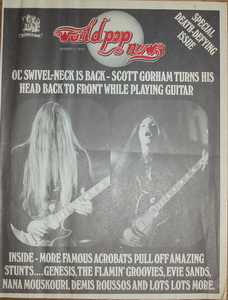 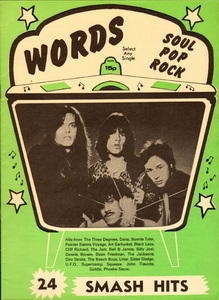 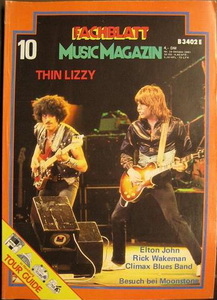 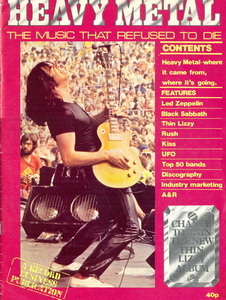 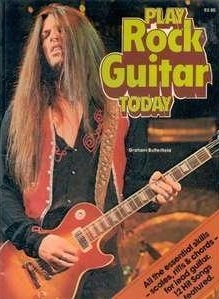 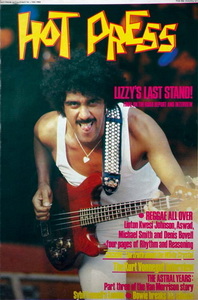 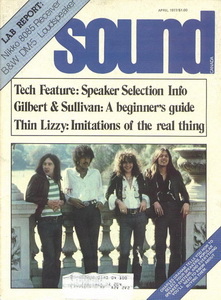 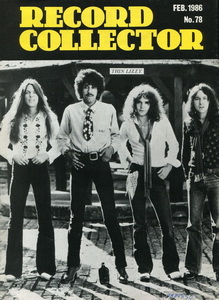 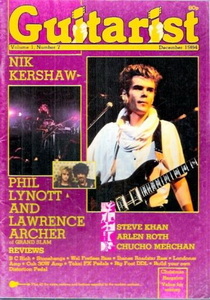 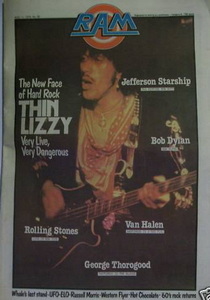 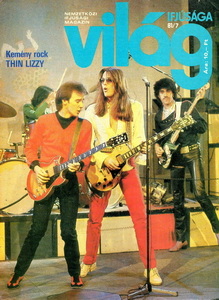 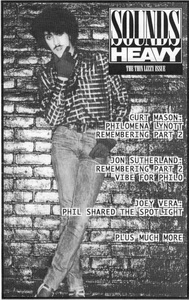 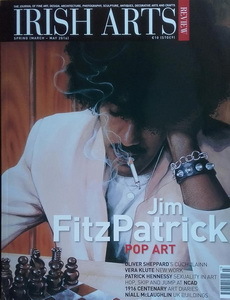 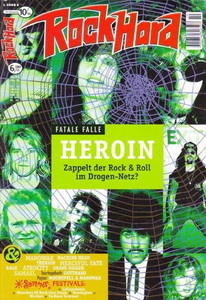 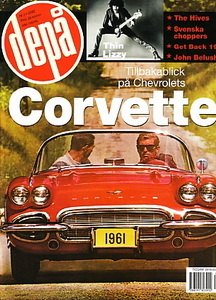 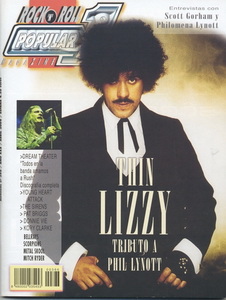 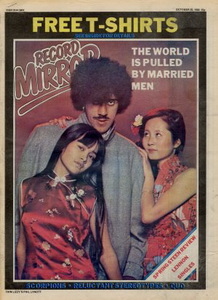 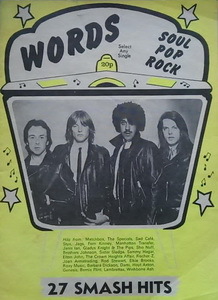 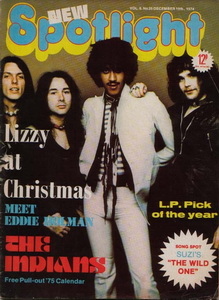 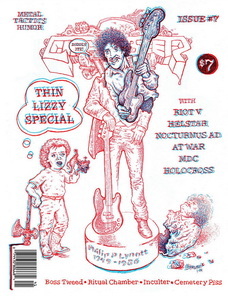 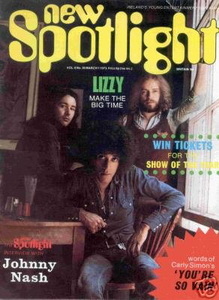 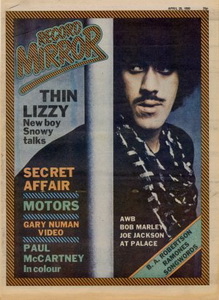 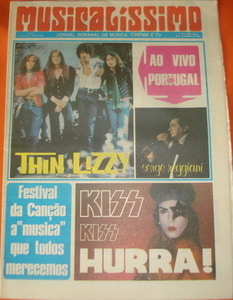 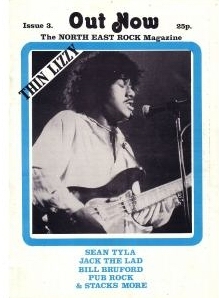 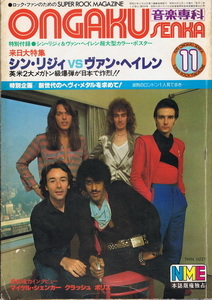 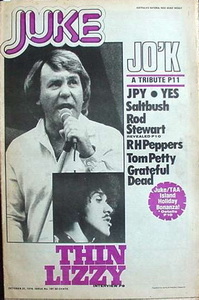 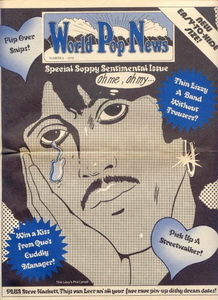 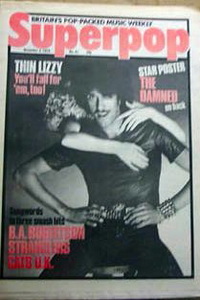 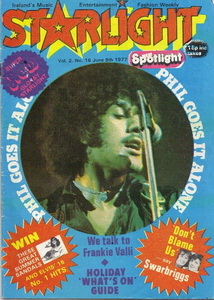 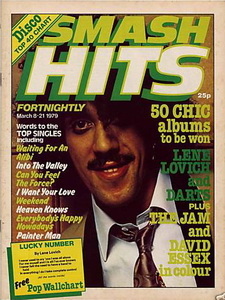 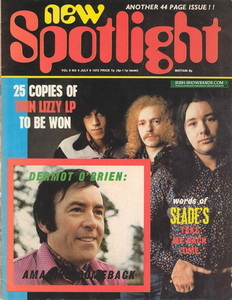 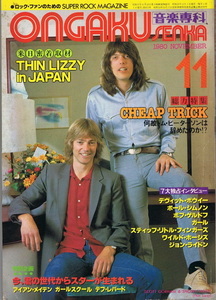 Superpop Hit the road with Thin Lizzy. 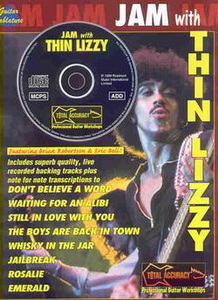 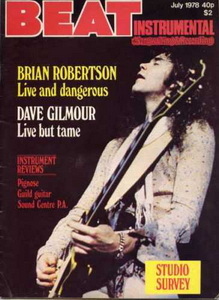 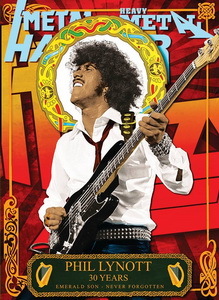 Danger Thin Lizzy live special. 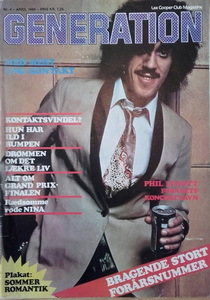 Written by Jorgen Holmstedt the president of the swedish fan club. 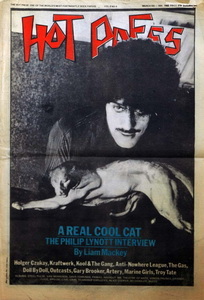 (Ireland) Vol 6, No 4 A real cool cat. 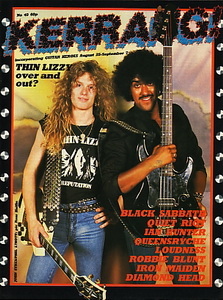 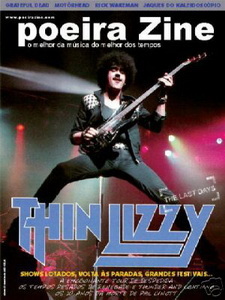 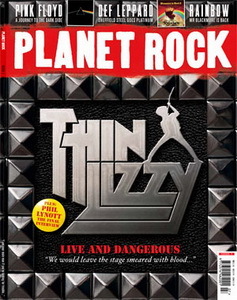 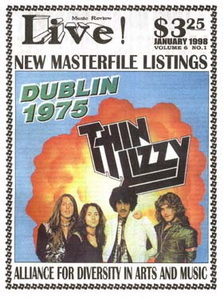 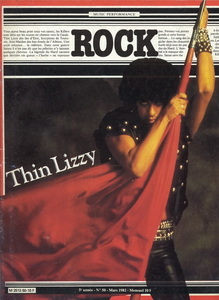 (UK) 49 Thin Lizzy over and out? 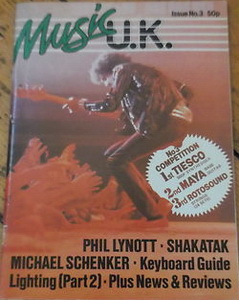 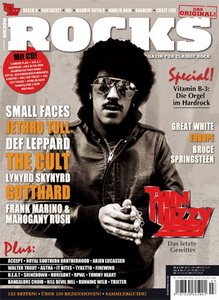 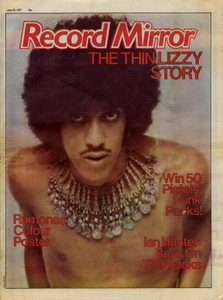 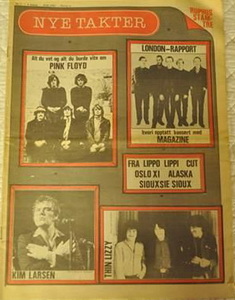 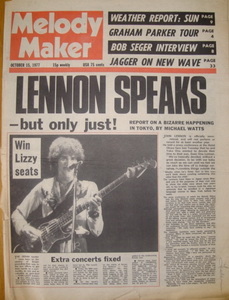 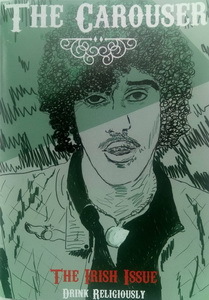 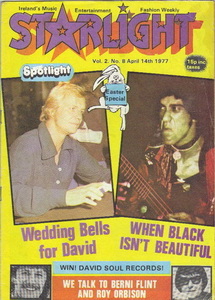 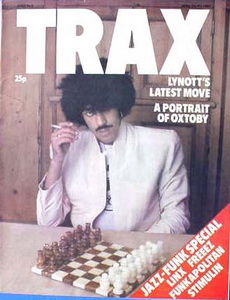 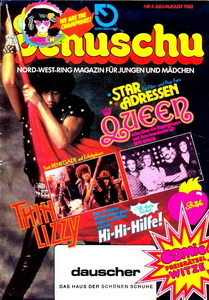 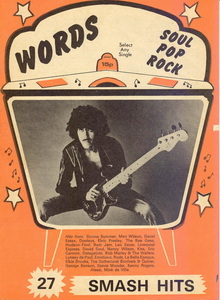 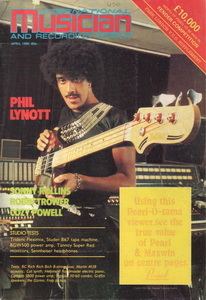 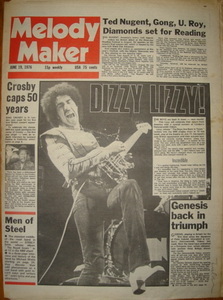 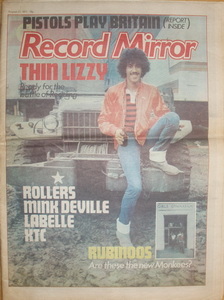 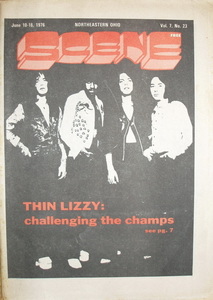 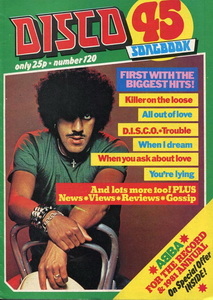 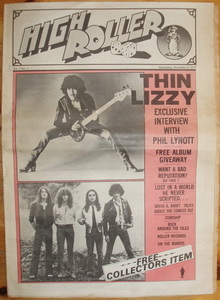 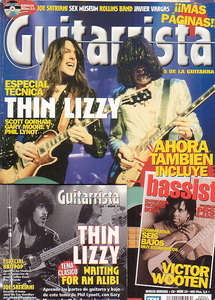 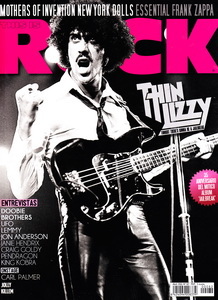 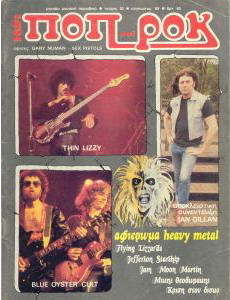 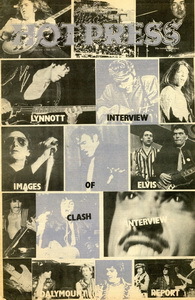 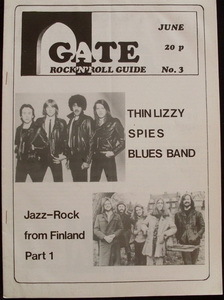 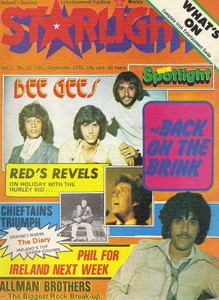 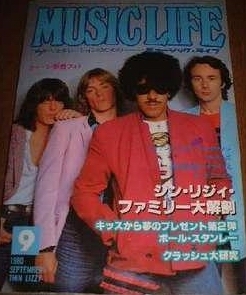 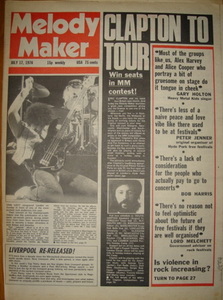 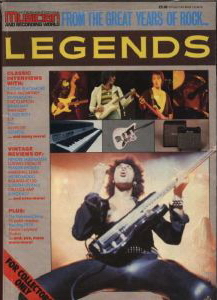 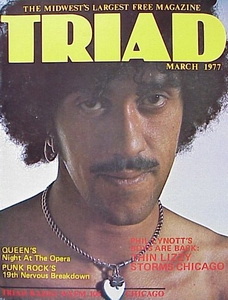 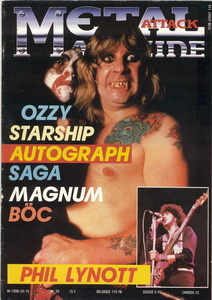 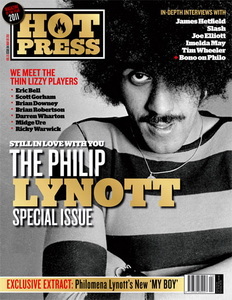 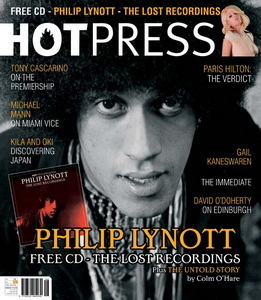 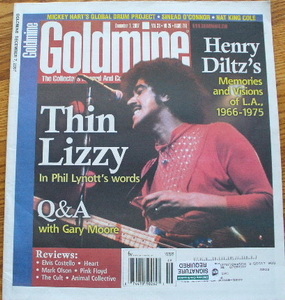 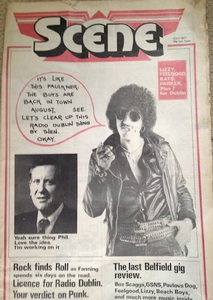 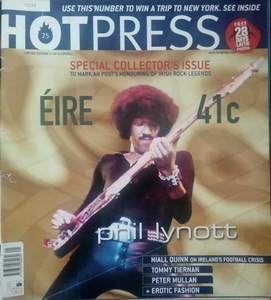 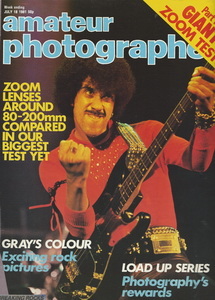 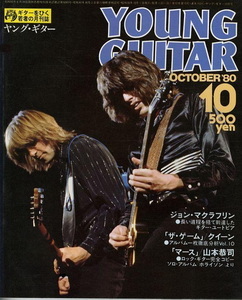 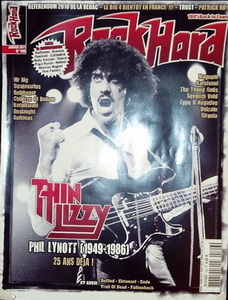 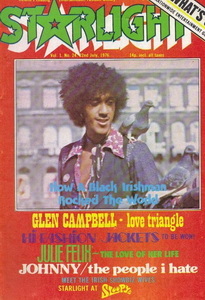 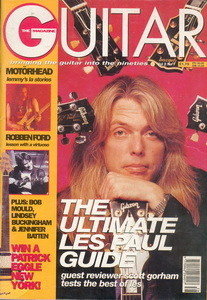 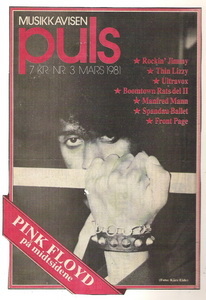 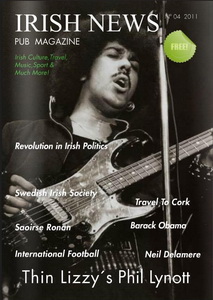 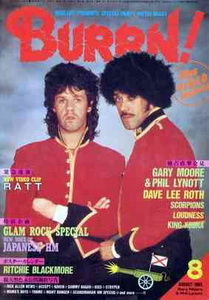 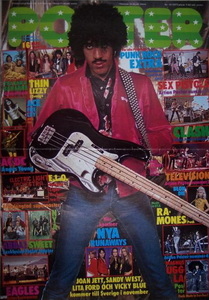 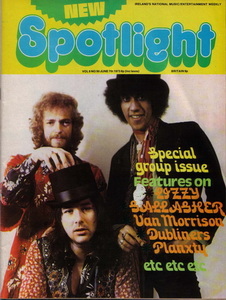 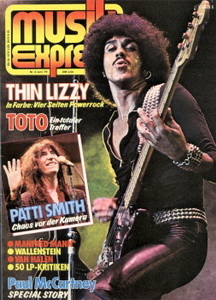 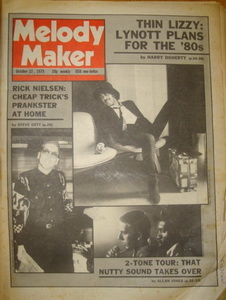 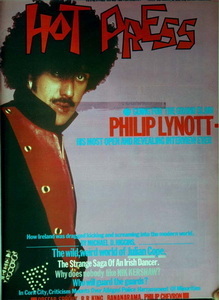 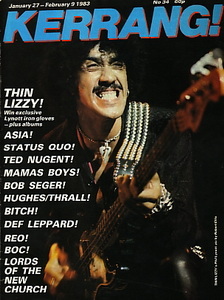 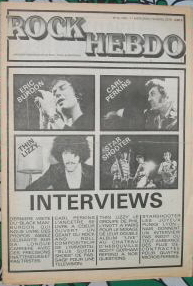 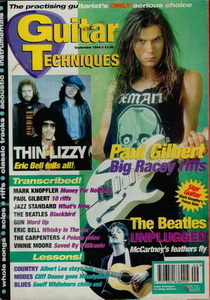 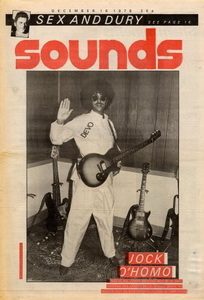 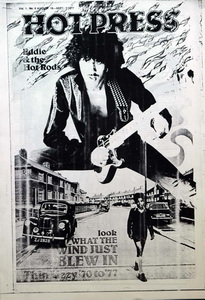 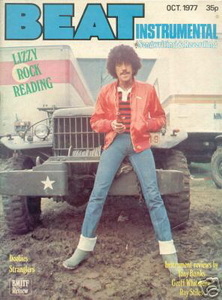 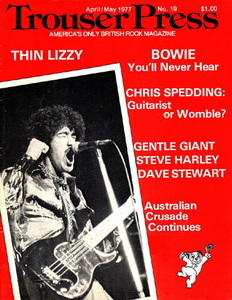 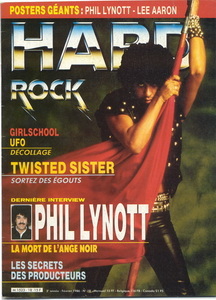 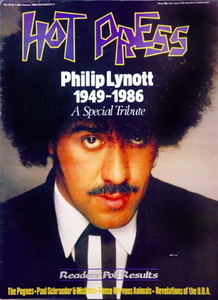 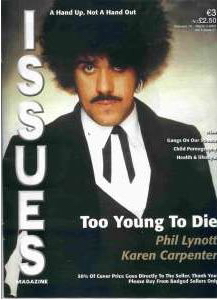 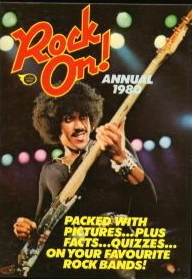 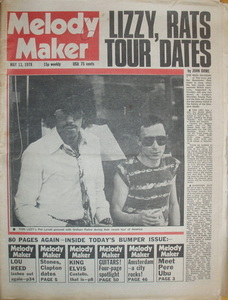 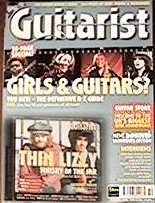 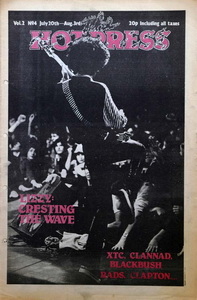 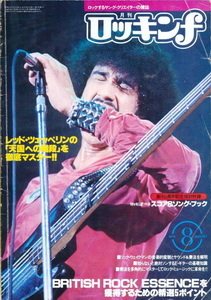 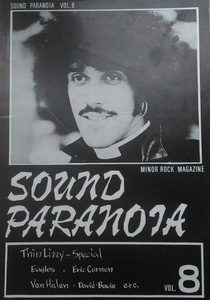 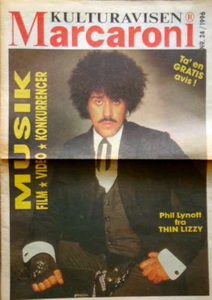 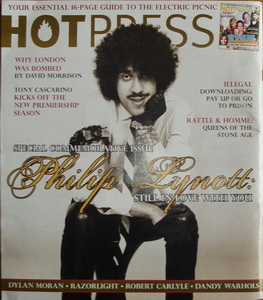 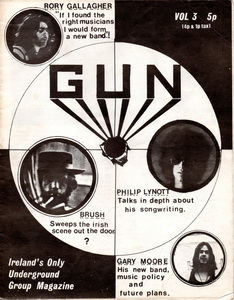 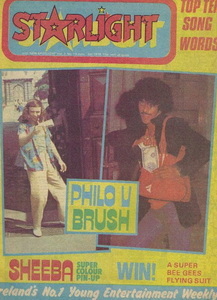 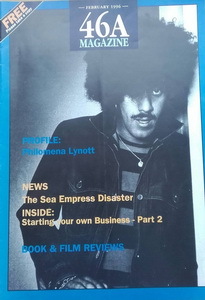 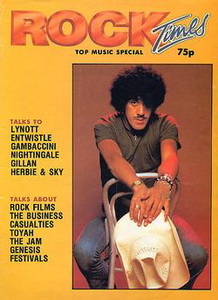 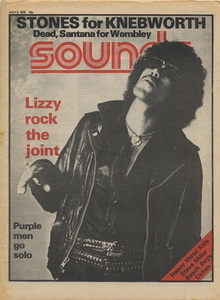 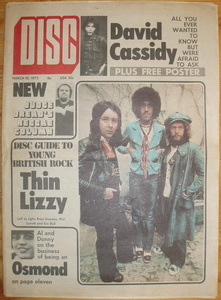 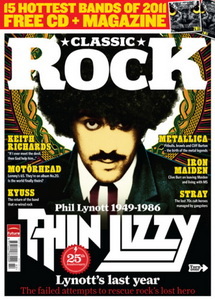 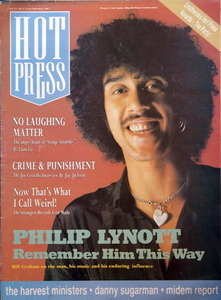 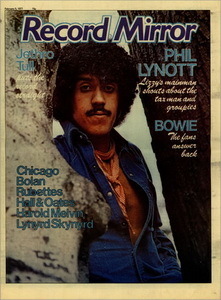 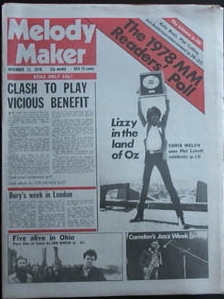 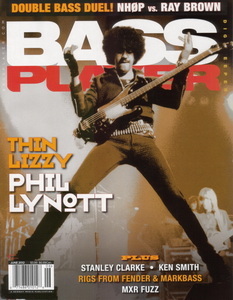 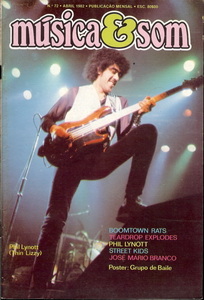 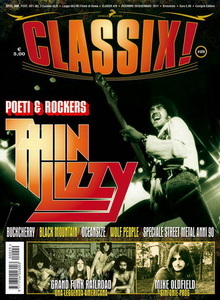 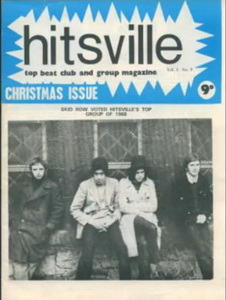 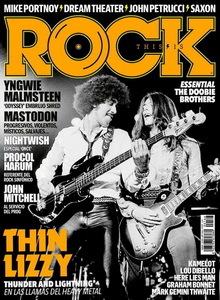 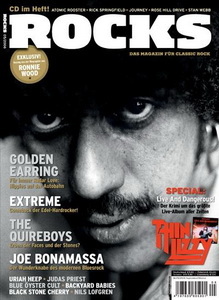 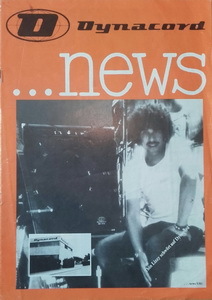 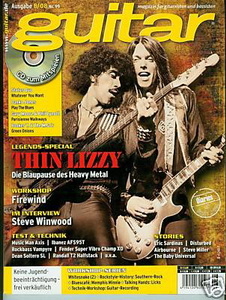 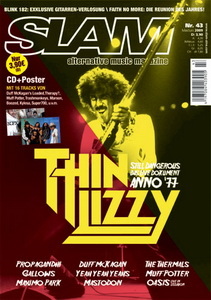 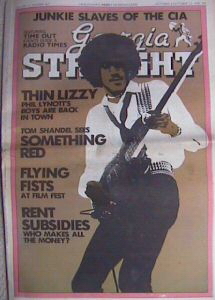 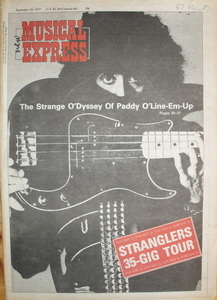 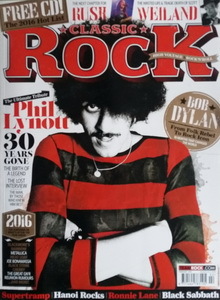 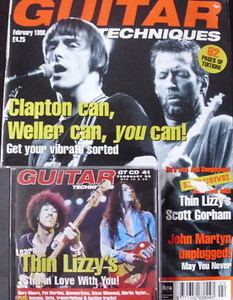 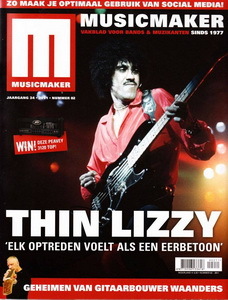 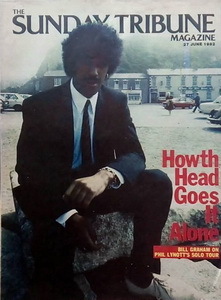 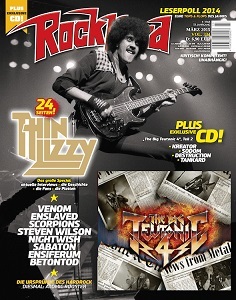 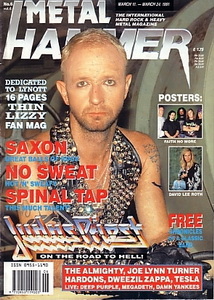 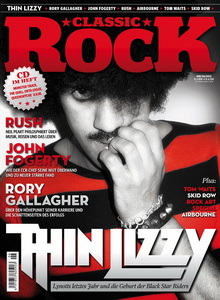 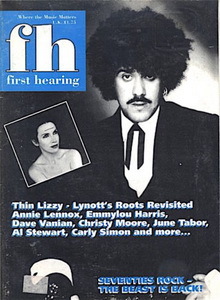 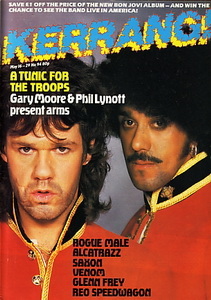 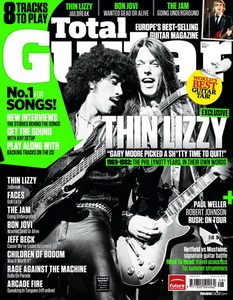 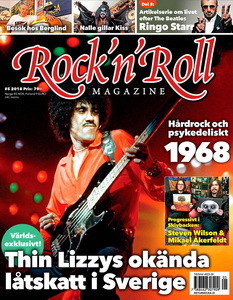 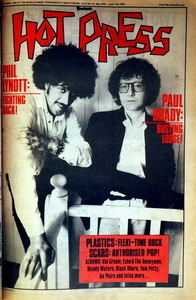 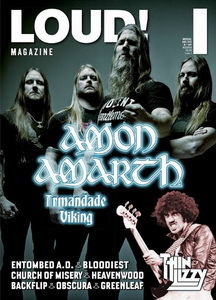 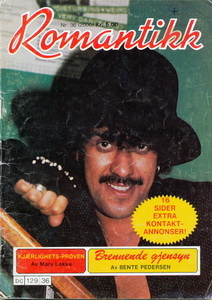 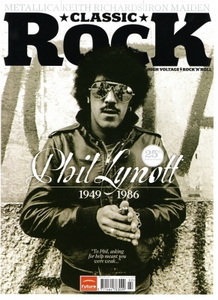 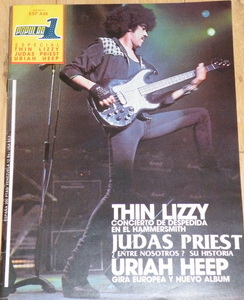 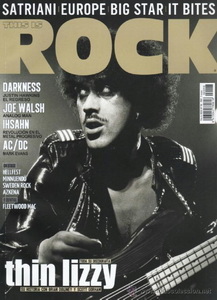 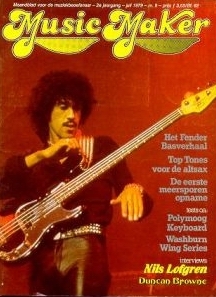 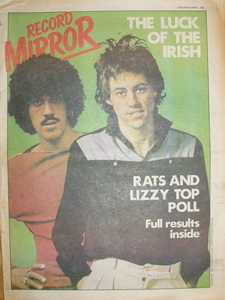 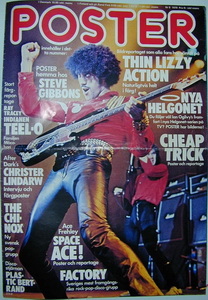 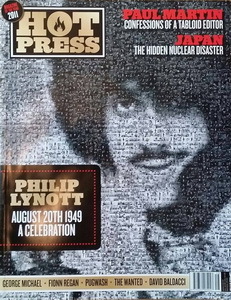 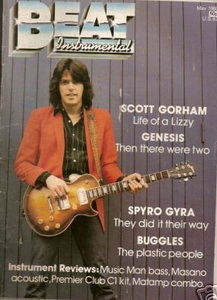 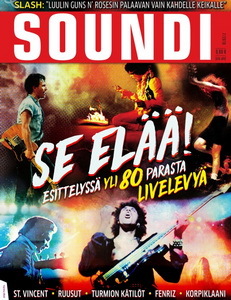 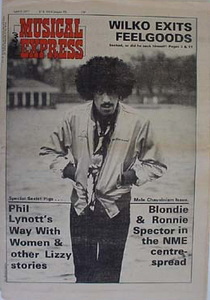 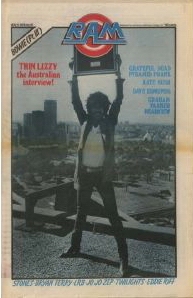 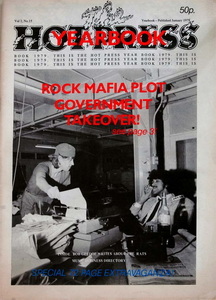 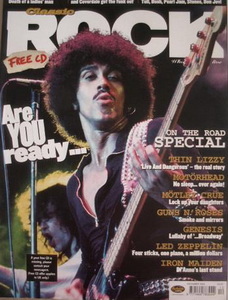 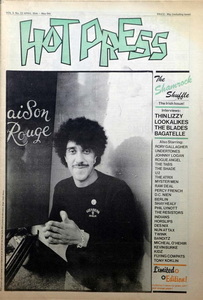 4 pages with interview with Lynott. 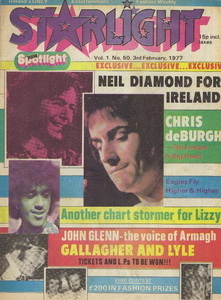 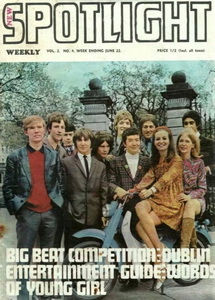 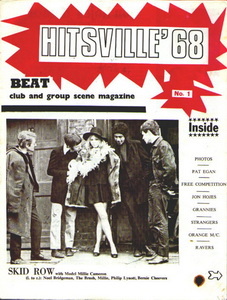 (Ireland) Vol 8, No 9 Going for the Grand Slam. 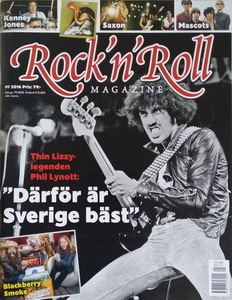 (Sweden) 16 The swedish Lizzyguru Jörgen Holmstedt has done it again. 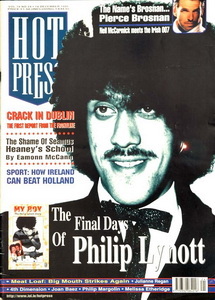 Thanks to T P McLoughlin Through thick and thin.